irresistible to the curious cat. For those of us who work from home a cat can be a rather persistent and demanding distraction. I know that my cat hears "Not now, I'm working," several times a day -- most often when she is bored. During warm weather when she can be outside this is not much of an issue, but winter weather ramps up the need for kitty amusements. 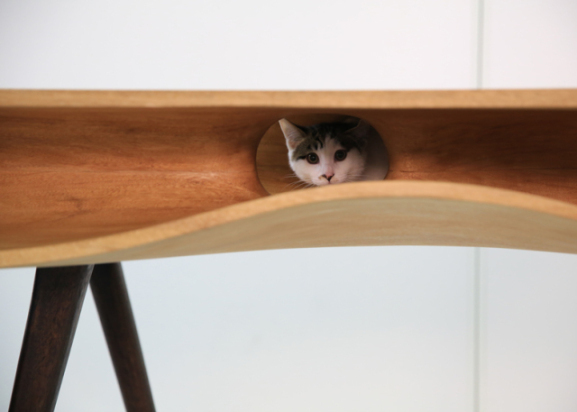 This table is the perfect sort of thing that would help keep our feline friends feeling fine. 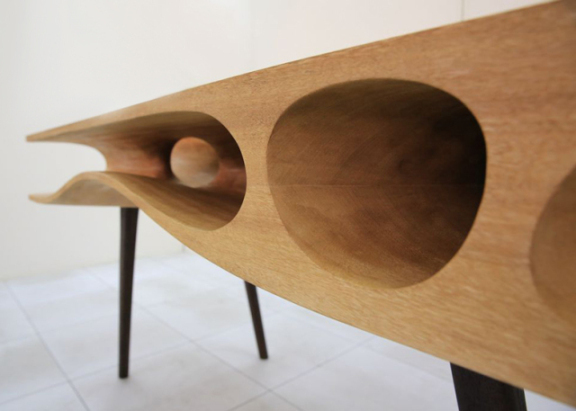 The table top is made from a single piece of wood with hand cut and carved tunnels and openings for the cat to explore. At the same time the flat top provides a spacious and stable work space for humans, thus allowing the two to share the same area. There is a chance for a playful paw to pop up and steal a pen though -- or one of your fingers. The table also provides kitty with a nice hiding spot at any time they just want to get away on their own for a private snooze or some time to meditate quietly. I used to have a cat who was terrified of thunderstorms and she would sit under my chair and yowl while I worked. This would have given her a lovely place to hide from the thunder. 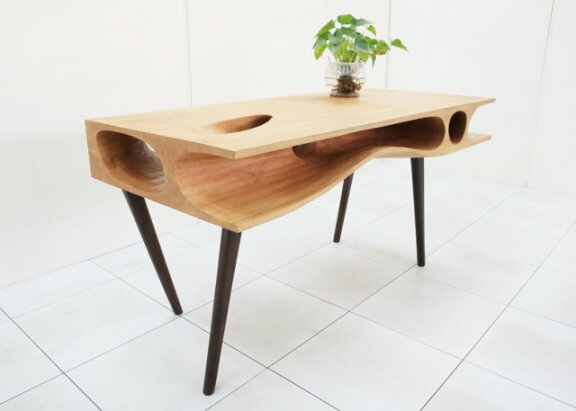 Ruan created the table as a response to the perceived idea that there is a rising demand for animal-oriented furniture. For my home at least, he is right. 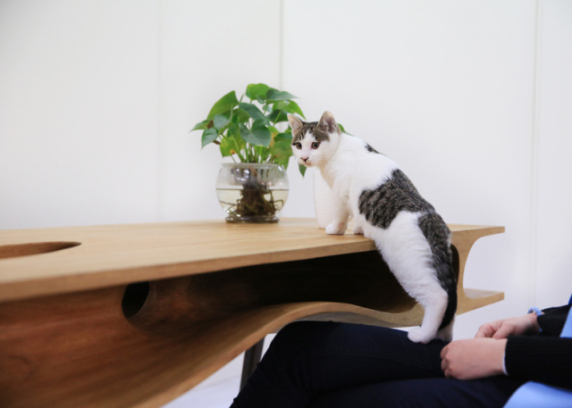 As you would expect, the CATable isn't cheap, but it has gone into production and is available for purchase through Fancy. Despite the cost it is currently sold out. You can have them notify you when it is in stock again. Is Astrology in the Stars for Your Pet?